Fancy making a Death Star? Well, soon you can. Following up from Fanfest announcements of new structures, CCP Ytterbium has released a dev blog detailing the first structure to see the light of day: The Citadel. The Citadel will, as CCP have explained earlier, come in three sizes: Medium, large and X-large. Capture will be facilitated via the Entosis Link and the structure will be able to defend itself via weapons systems fitted much like a ship. However, while this blog answers some questions, it creates a myriad more. It leaves certain very important aspects undetermined, such as the docking of capital ships in Large structures and supercapital ships in XL structures. Where will these structures be deployable? How powerful will the weapons systems be? What is your take on the Citadel and where do you stand on the questions this dev blog has opened up? Neville Smit: I can’t wait for these new structures. I have just read the dev blog – twice – and I still need to go back and parse through it again very carefully, because there is a lot implied there. My first impression is that it all sounds very exciting. I love how CCP is being bold and brave with their vision for structures. They are planning to pack a lot of flexibility into them. If this is any indication about what structures will be capable of doing, we are heading towards some very interesting times indeed. However, being mostly a highsec industrialist, I’m anxious to see how CCP will enable new structures to provide similar functionality to current POS-based research and manufacturing facilities. It seems that citadels – intended initially to be market and office hubs – will not yet address this, and I have to wait for more information on the proposed Assembly Arrays and Research Laboratories structures. 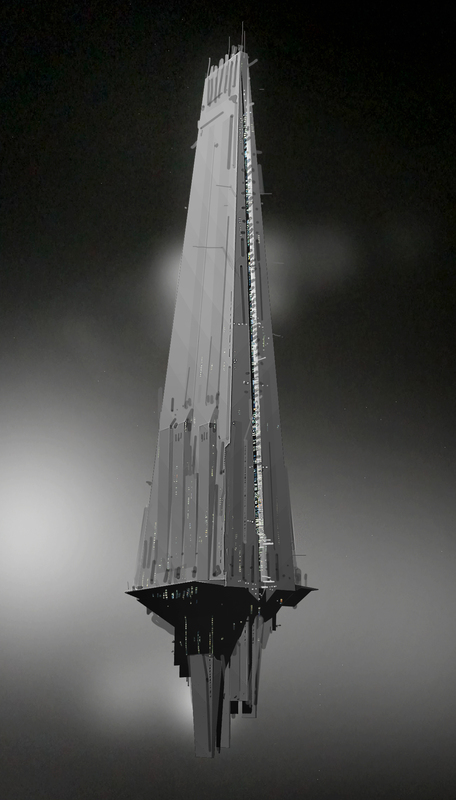 If I’m understanding the dev blog correctly, I’m wondering why I would want to put up my own citadel in a highsec system, when there are plenty of stations providing similar services already – unless CCP’s intention is to migrate office and market facilities to player-owned structures exclusively, even in highsec space? Now that would be a radical change, and one that I like a lot, but perhaps I am just thinking wishfully here. There’s nothing specifically hinting at that in the dev blog. I’m reading some of the concerns of w-space dwellers about citadels (for example: http://ceo.starexplorers.net/blog/all-your-base-are-belong-to-us), and I think they make some good points. If citadels do not auto-defend themselves, that is a problem – and not just for wormhole residents. In highsec space, I’m less concerned about being harassed by a single Entosis-fitted ship, assuming we’d still have the 24-hour wardec notice period, but in w-space, I can see that becoming a lot more annoying than fun. Clearly, there are some implementation questions for different kinds of space that need to be worked out. The general vision for structures that CCP Ytterbium’s outlined in his dev blogs and Fanfest presentation is very exciting, but it’s still a bit fuzzy. Structures look like they will give us more choices and more control over what kinds of things we can do in space – but the devil is in the details, as the adage goes. I’m both tantalized and frustrated by the level of information we have been given so far. As far as I’m concerned, it’s all heading the right direction, but whether the final destination is going to be any better than where we are now is still up in the air. I await how it all really comes down with cautious optimism. Dunk Dinkle: Seems to me that the success of these will come down to an economic question. Is the ISK cost + effort low enough to accept the risk of a structure that can be destroyed, along with it’s contents? All the cool stuff is secondary to this question. If the cost is too high, groups will use stations and POSes as they have in the past. Finding a good middle ground will be essential. Eve Online is called Spreadsheets in Space for good reasons. For the right price, Citadels could find a great role as both offensive and defensive beachheads in wars. The logistics needed to deploy will be interesting. With CCP’s move to make current sov structures easily to deploy (reduced m3) it’s likely they’ve given this some thought. Hopefully the design will avoid the strangeness of an actual outpost deployment, not requiring esoteric downtime rituals. The most interesting concept to capital pilots would be the ability to deploy a Citadel into a system with no stations, allowing safe mid-points for jump movement around the strategic chokepoints that exist today. Many larger groups maintain sov in systems purely to allow for safe paths for capitals to jump to and from. Being able to use Citadels as logistical outposts, without the need to hold sov would definitely make life more interesting. Again, if the cost is too high, they won’t be used to the same degree as they could be. If the price is right, they will be perfect to enable a much more fluid and dynamic low & null sec. Tarek: A lot of interesting stuff there and it makes one wonder what else there is still to come. This new structure is clearly useful as a temporary or semi-permanent staging point just like Dunk wrote. Its defensive abilities are pretty high which underscores that military role. On paper, as they stand, they seem almost a bit too great. I wonder whether CCP wants to give all new structures such defenses or just this one. My biggest worry here is, that they are going a bit too far with that first structure in an effort to “sell” it to the players, and then tone it down later because they see that it is just a bit too much. The balance between something expensive that can be lost and something that is too difficult to destroy is a delicate one and I would rather have it they get things right on the first try instead of going through yet another cycle of tactics and strategies built around something that is OP just to have it nerfed shortly thereafter. Particularly with a structure that can be a big investment in ISK, time and logistic operations to set up, it would be very annoying to see your investment devalued too much by a nerf. What I find weird is the Invulnerability Link (or whatever it will be called in its final version). So here we have a station that allows subcapitals to dock at any size, and capitals – maybe even supercapitals – in its larger versions. So why does it also need a mechanism that has a ship vanish from grid when the player logs off? I guess this is only there to maintain the same functionality that POSes have these days in the way how they allow you to log off – especially in a super – and not face the risk of losing your ship directly even if the POS is destroyed. As long as you don’t log in your supercap until the attackers are gone, you are safe (big game hunters may bookmark the site and keep it under surveillance but that’s another story). In the proposed version a docked ship can not be stolen even if the structure gets destroyed. However I am unsure how this is going to work if it is captured rather than destroyed. I also didn’t clearly understand whether capture instead of destruction is always an option. I think it should be. BTW I like the idea that stations which offer a system-wide service or effect create a beacon in space. That saves a lot of bookmarks and makes a lot of sense for friendlies, and for things like cynojamming or other potential defensive effects it creates an immediate reference to where the target is just like sov structures or cynosural fields do now. Xander: I like pretty much everything in the post with the one worrying exception – Area of Effect weaponry. This can be notoriously difficult to balance in any game and we know historically that CCP haven’t always done a great job at it. It makes me nervous thinking that these almighty Death Stars will be almost untouchable due to completely nullifying enemy logistics by forcing fleets to spread out. I definitely want to favour the defender in new sov but I worry that we might be taking their side a little too much with the new announcements such as the 5x defensive modifier. MukkBarovian: My first question on the related thread was, “Can we repackage these and move them somewhere else?” Pandemic Legion is pretty nomadic, and I would not be interested in paying billions of ISK for something I cannot pick up and carry along with me. I have a nice large faction pos in my titan, and given the opportunity I would haul a citadel of some size along after their introduction. Real estate near gates is going to be interesting. If 250KM is the range, you could snipe a gate from within range of where a citadel could defend you. I imagine CCP may decide to restrict things a bit more than just ‘250KM from existing celestials.’ Hell camping a station is going to be a pain in the future with the doomsday weapon. I am not sure if the defenses of these things is correctly calibrated. I would need to see these in action to make a firm conclusion.